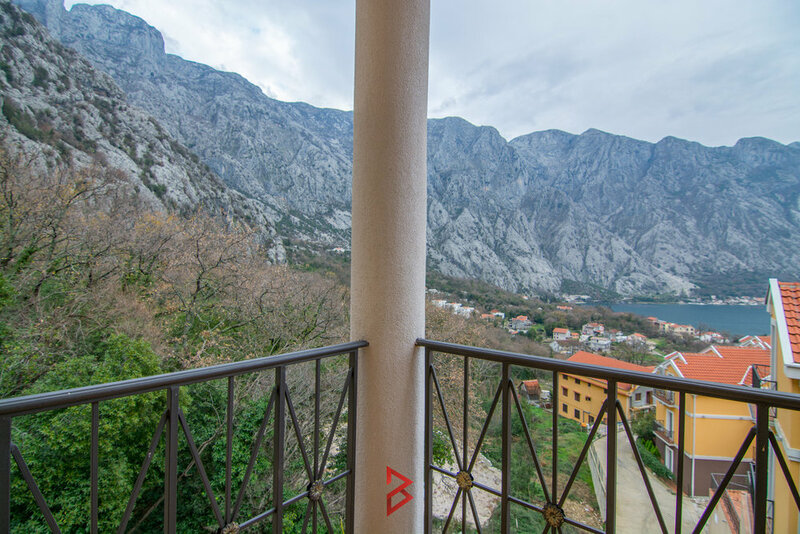 This stunning one-bedroom apartment is located in modern Development in peaceful area of Kotor Bay – Orahovac. Orahovac is the small settlement, the greenest place in the Bay of Kotor with thick oak wood and mountain pomegranate trees. The beach in Orahovac is taken as one of the 10 best beaches in Montenegro, being sun lighted during the whole day due to its south orientation. From the mountain slopes the river runs into the sea, making it incredibly turquoise, clear and pure. 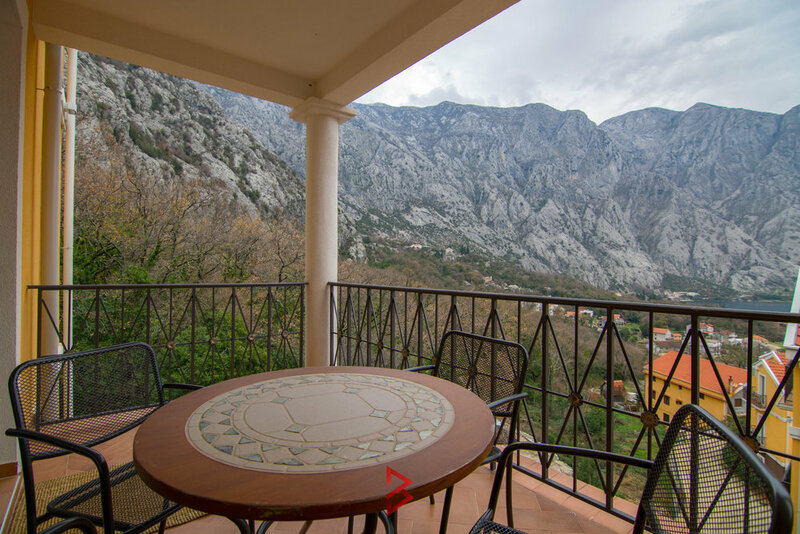 This property with amazing view is located on the third floor, in the modern development with the pool, settled in the landscaped gardens with private parking spots. 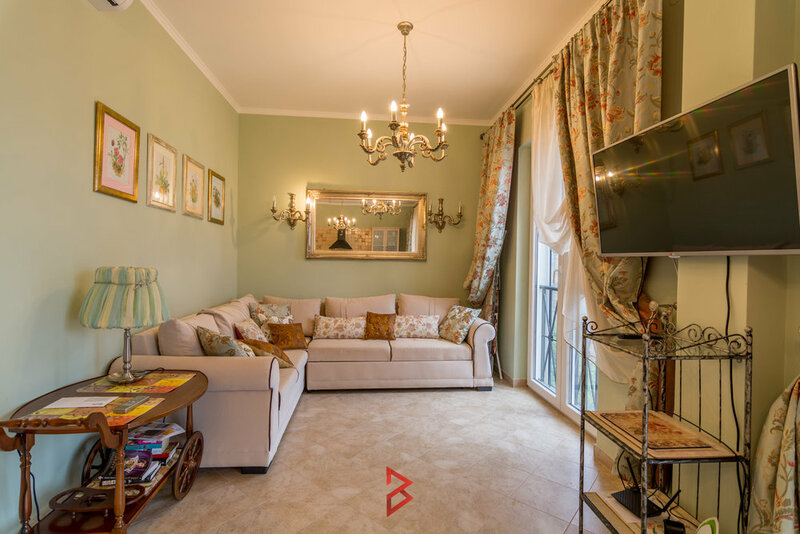 It has an area of 63m2 and it consists of one bedroom, bathroom, an open plan kitchen and living room and a balcony overlooking the Bay. It is furnished according to high standards in order to fit in its beautiful surrounding.